IMPERIAL "OYSTER" VELVET WITH SELF-BUTTONS AND CRYSTAL TACKS. Courbe is French for curve. 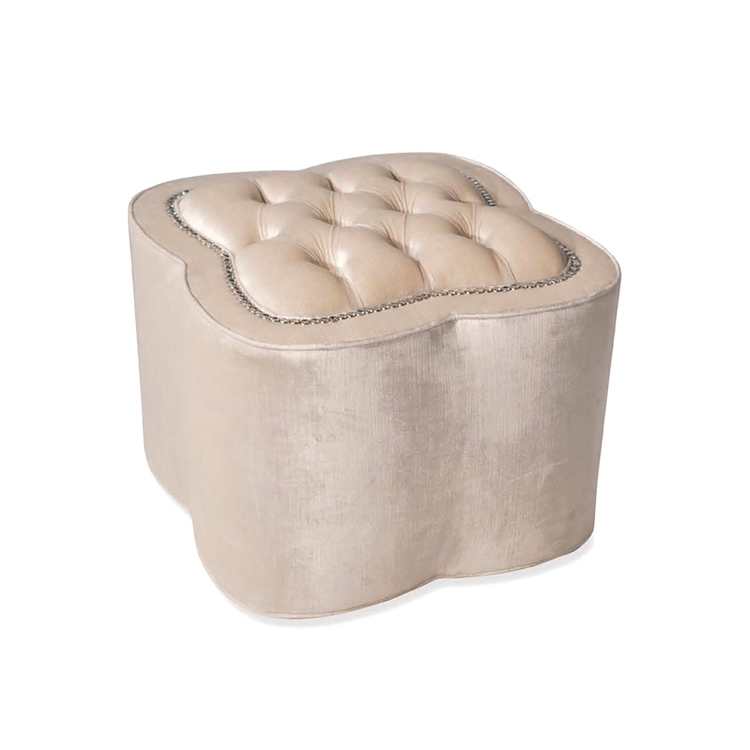 You crave this Courbe Ottoman like you craved a curve in your High School French class. Language has never been your strong suit. Instead of following along to Le Petit Prince, you were thinking of how to rearrange the lifeless desks according to Feng Shui principles.